As you can see by the picture above, there are plenty of choices in the winter tire space. Those pictures only offer a minor sampling of the options available. As with “all season” tires, the various winter tire choices come with compromises. No one winter tire is the best performer on dry roads, wet roads, snow, and ice. You need to decide which tire works best for your driving patterns and the conditions you are likely to be driving in. Another thing to keep in mind is that tires are not available in all sizes. I need to replace the winters on one of our vehicles and buy new winter tires for a new vehicle we purchased in the summer of 2010. As usual, for both of these purchases, rather than the cheapest price or the “absolute best” tire I will be looking for the best value or “bang for the buck”. In addition, I have decided that based on the varied driving conditions here in Nova Scotia in the winter, I will be looking for tires with a balance of dry road, wet road, snow, and ice performance. I am also very concerned about tread wear, because I do not want to have to buy new winter tires after only two or three seasons – that’s not good value. Since the options available will vary based on the size required, I will discuss the tires I looked at and the prices I found in the sizes I was looking for – if available. For my older vehicle the stock tire size is 205/55 R16. This is an extremely common size that used on quite a few vehicles, usually in the compact segment. I had no problem finding many options to choose from in this size. For my newer vehicle, the stock size is 235/60 R17. There aren’t nearly as many options available in that size so I also considered 225/65 R17 which is a size that fits within the maximum recommended difference of 3% total tire diameter when considering alternate sizes. I did not consider going down a rim size as I that vehicle is only offered in 17 inch rims and above. Below I will list the tire options I looked at, the prices I found, and finally the choice I made. Please note that the prices listed are per tire in Canadian Dollars and do not include the mandatory tire recycling fee of $3 the Nova Scotia government requires on each new tire purchase, the installation and balancing charges of approximately $10 to $20 depending on the shop, or Harmonized Sales Tax of 15%. If you are reading this from the US, you are probably cringing at all that, but wait until you see the prices we pay in Canada for the tires themselves. It’s not pretty, especially considering that the Canadian Dollar is currently on par with the US Dollar. Anyway, that is a discussion for another post. On with the tire comparison. 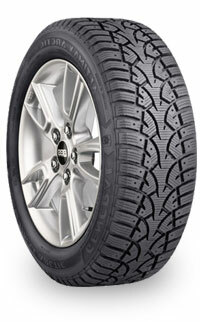 The WS70 was added to Bridgestone’s Blizzak lineup for 2010. Although there aren’t any reviews available yet, this tire looks very similar to the WS60, which gets generally favourable reviews at 1010 Tires. Although Blizzaks in general tend to get great reviews for their ice performance, and generally exhibit good snow performance, their Achilles Heel has always been tread life. Looking at the tread pattern on this tire, the lack of any large grooves leads me to believe the WS70 isn’t great in deep snow. A quick review of Bridgestone’s product page for the WS70 mentions nothing about increased tread life, so I doubt this tire any better tread life than its predecessors in the Blizzak line. 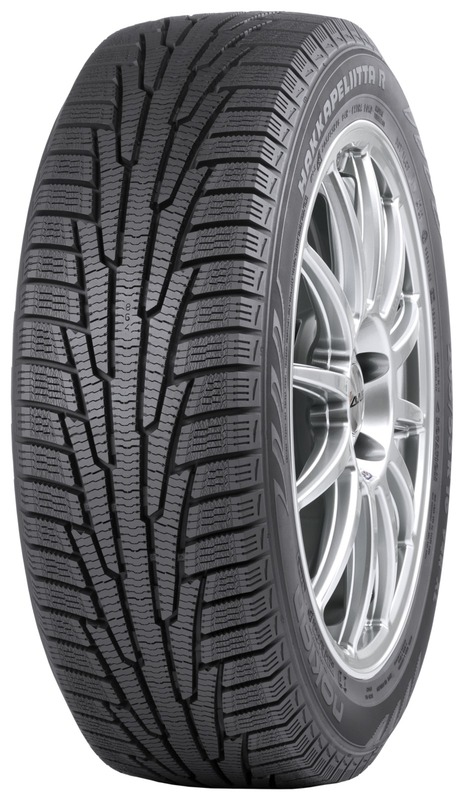 Prices for the Bridgestone Blizzak WS70 in 205/55 R16 are around $160, and in 225/65 R17 they are around $170. Bridgestone is offering a $50 mail-in rebate on a set of four Blizzaks, as long as you don’t buy them at Costco. 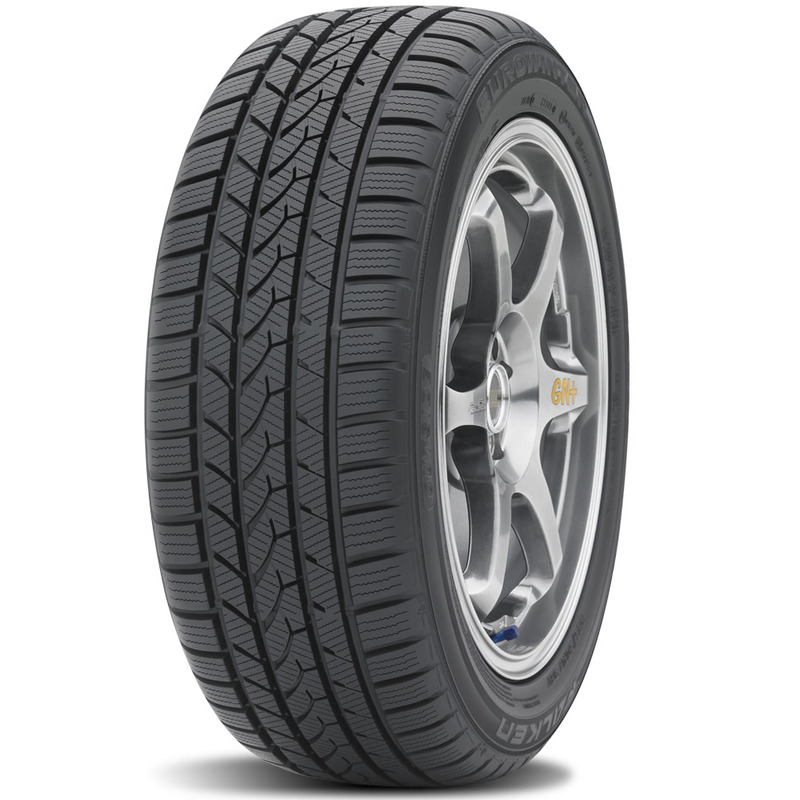 The Falken Eurowinter HS439 is a speed-rated winter tire with excellent dry pavement performance. Looking at the tread pattern on this tire, the lack of any large grooves leads me to believe the Eurowinter isn’t great in deep snow, but the reviews at 1010 Tires do not seem to indicate that their snow performance is a big problem. One thing most of the reviewers seem to agree on is the the HS439’s have excellent tread life. Falken’s product page for the HS439 stresses dry and wet performance with excellent tread life. This might not be the ideal tire to grind through 6 inches of snow in, but it will still do better than pretty much every “all season” on the market in snow while maintaining excellent dry road handling for the winter days when the pavement is dry. I was quoted $159 for the Eurowinter HS439’s in 235/60 R17. owns General Tire and Gislaved, a Swedish brand. The General Altimax Arctic seems to be a twin of the now discontinued Gislaved Nord Frost 3. The tread pattern on this tire is aggressive with deep grooves and significant siping. The Altimax Arctic is also studdable. The reviews at both 1010 Tires and Canadian Tire would be close to glowing, and the Altimax Arctic is the number two rated tire by Consumer Reports after the much higher priced Michelin X-Ice 2. One thing most of the reviewers seem to agree on is the Generals have excellent snow handling, wet handling, and solid tread life, but there are some some complaints about noise. General’s product page for the Altimax Arctic stresses the features they are complimented on most. I was quoted between $112 to $119 for them in 205/55 R16. While Canadian Tire came in lowest with a 30% off sale, their regular price of $160 was completely out to lunch. 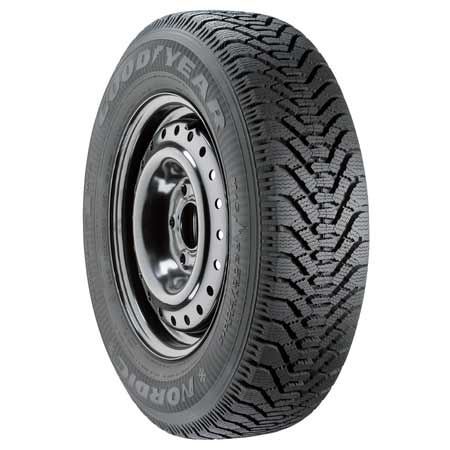 The Nordic is a Goodyear Tire that you won’t find at your local Goodyear shop. It is offered exclusively at Canadian Tire in Canada and I don’t think it is offered at all in the US. The Nordic is essentially a rebranded Goodyear Tire that is or was offered in Europe. The Ultra Grip 500 now seems to be discontinued in Europe, but still shows up on Goodyear’s Middle East site. I am not sure exactly which Middle Eastern country is driving the winter tire demand, but maybe the low volume is why they get discontinued tires from the European market. The reason we got this one here in Canada is because Canadian Tire wanted an exclusive product they could push at a “reasonable” price. The Goodyear Nordic is getting a little long in the tooth now, but it is still a solid choice. The reviews on the Nordic on Canadian Tire’s website are overwhelmingly positive. The only consistent complaint seems to be noise. As you can probably deduce by looking at the tread pattern, that noise is the price you pay for a wider-grooved snow biting design. 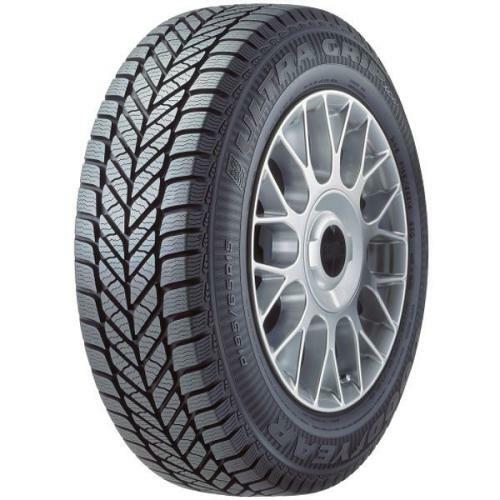 Canadian Tire’s current sale price for the Goodyear Nordic is $122 in 205/55 R16 and $148 in 225/65 R17. The Ultra Grip Ice is a Goodyear Tire that you WILL find at your local Goodyear shop. Although it is an ice tire, the Ultra Grip Ice is not a new tire by any means. It was brought out by Goodyear more than 10 years ago. I know that because I bought two sets in 2001. The Ultra Grip Ice was fairly state of the art back at the turn of the millennium, but many new choices have come to market since then. I remember when I used these tires that I found them great on ice, OK in deep snow, and they had pretty good tread life. Reviews at 1010 Tires are generally positive. The Ultra Grip Ice page on Goodyear’s website offers nothing that leads me to believe this design has been updated recently. Despite it’s age, the Ultra Grip Ice is not cheap. I was quoted $212 to $220 for 225/65 R17’s. Goodyear, does have a $60 rebate if you buy four though. 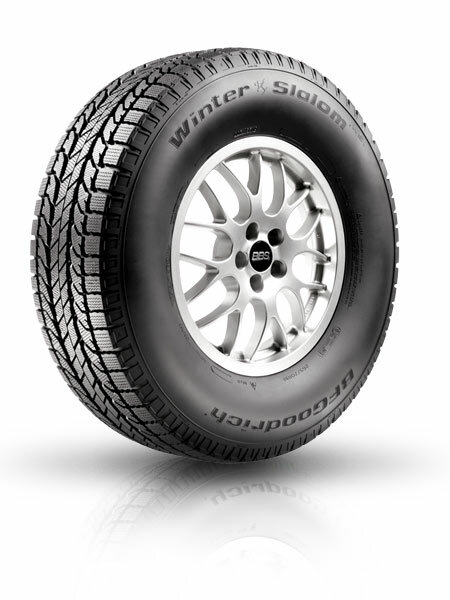 The Hankook Ice Bear W300 is a performance winter tire, which would be a direct competitor to the Falken Eurowinter HS439. Having a look at the reviews on the Ice Bear at 1010 Tires, as expected, the snow performance of the W300 is not great. This is afterall a tire that is designed for dry road performance with some ice and snow capabuilities. If you check out the winter tire section on Hankook’s website, you will see the description of the W300 stresses dry and wet road performance rather than deep snow performance. I was quoted $179 to $220 for the Ice Bear W300 in 235/60 R17. Checking the winter tire section on Hankook’s website reveals that Hankook seems to use the IPike brand on a few slightly different tire models. The RW409 Winter IPike is the primary offering for passenger cars while and the RW11 IPike is the primary offering for SUV’s and Light Trucks. There are two other models that also use the IPike brand – the Dynapro IPike and the IPike RC01, which is offered at Canadian Tire. I think I’ll confine my comments to the W409 and the RW11. 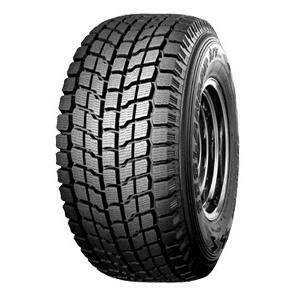 Having a look at the reviews at W409 and RW11 at product pages 1010 Tires indicates that these tires rate pretty well, but a problem with the site is not allowing me to see the details behind those ratings. It is interesting to note that the W409 is rated better than the RW11 overall. From what I have read in other places, these IPikes seem to provide a good balance of performance over many types of winter driving conditions. 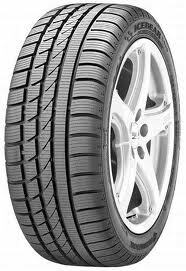 As you can see from the pictures, these tires have a similar tread pattern to the General Altimax Arctic. They are also studdable like the Altimax. I was quoted $138 to $155 for the W409’s in 205/55 R16 and $159 to $191 for the RW11’s in 225/65 R17. The Michelin X-Ice Xi2 replaced the original X-Ice a couple of years ago and in many ways has become the tire to beat in this category. It has been named Consumer Reports top winter tire choice for the past two years. Also, APA rated this tire a top pick in their 2009-2010 review of winter tires for passenger vehicles. Reviewing the X-Ice 2 product page on Michelin’s site would lead one to believe this tire is good at everything. After having a look at the reviews on the X-Ice Xi2 at 1010 Tires, the X-Ice is seems to be a great tire on ice and packed snow while maintaining pretty good dry and wet road performance. Despite Michelin’s marketing regarding snow performance, the X-Ice seems to struggle with deep snow. Looking at that tread pattern, I am hardly surprised. There is no amount of technology that can get around the fact that these tires have very few deep grooves to grab fresh snow. That said, I must say I am impressed with a 60,000 KM treadlife warranty on a winter tire. I am not aware of any other winter tire that comes with a treadlife warranty. I was quoted $199 to $209 for the Michelin X-Ice Xi2 in 225/65 R17. Nexen is a brand that a lot of people in Canada have never heard of, and until a few years ago, neither had I. The only place most people would see them is at Walmart, who I suspect is that largest Nexen retailer in Canada. When it came time to buy my last set of winter tires, I was offered a set of Nexex Eurowin tires at a small tire dealer in my area. After struggling to find some reviews online, I discovered that Nexen is a pretty well regarded brand in Korea and offers some pretty good tires at great prices. I bought the Eurowins and have been very happy with them. That said, the Eurowins are more of a performance winter with good dry road, wet, road, and ice performance. I want something with better deep snow performance this time, so I decided not to go with the Eurowins. After 5 winters, they will be used as all seasons for at least two more seasons. How’s that for treadlife? Anyway, although the Nexen Eurowin in’t going to be the tire this time, Nexen has the Winguard 231 available to step in. The Winguard 231 is also a directional tire, but it definitely has wider channels for gripping fresh snow than the Eurowins do. The Winguard 231 also seems to be made of a softer rubber compound than the Eurowins. That’s great for winter traction, but the treadlife is not likely to be as good as with the Eurowins. It’s not easy to find reviews online of Nexen Tires – at least in English – but the reviews I have seen of the Winguard 231’s are generally positive. Unfortunately, Nexen’s product page for the Winguard 231’s is pretty light on details so there’s not much to be found there to help make a decision. Anyway, I was quoted $91 for the Nexen 231’s in 205/55 R16 at my local Walmart – the second cheapest tire I looked at in that size. Nokian is another brand that a lot of people in Canada have never heard of. A little bit of research on the Finnish company’s website reveals a few interesting facts: 1) they created the first winter tire in 1934, 2) the company created its first Hakkapeliitta branded winter tire in 1936, and 3) Nokian Tires used to be Nokia Tires – the tire division was spun off from the Nokia organization in 2003 so Nokia could focus on consumer electronics. I have done a little more research on Nokian than just going to their website, and what I have discovered is that Nokian is perhaps the most respected tire brand there is when it comes to winter tires. Since they have made winter tires for more than 75 years, I am left with the impression that they know a few things about it. The Hakkapeliitta R and Hakkapeliitta R SUV were released during the winter of 2008. They have finished near the top of Consumer Reports winter tire comparison over the past couple of years, but the thing that impressed me most is that they were rated good to excellent in almost every category. 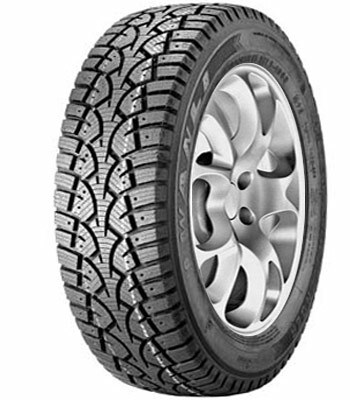 A quick review of the product pages for the Hakkapeliitta R and the Hakkapeliitta R SUV reveals that performance in a variety of winter driving conditions is exactly what Nokian was trying to achieve with these tires. Another thing Nokian stresses with the R is it’s low rolling resistance, something that is difficult to achieve with a grippy winter tire. Low rolling resistance results in higher gas mileage. The summary of reviews on the Hakkapeliitta R page at 1010 Tires reveals fantastic rating for the tire, unfortunately a problem on the 1010 Tires website means we can’t see the details of those reviews. I was quoted $160 for the Hakkapeliitta R in 205/55 R16 and $211 for the Hakkapeliitta R SUV in 235/60 R17. The Toyo Observe G-02 is one of several designs Toyo offers with very similar tread patterns, including the Open Country G-02 plus and the Observe Garit KX. A look at Toyo’s product page for the Observer G-02 plus reveals some interesting technologies this tire shares with it’s sister designs mentioned above. First, they have a water absorbing tread design to clear water on ice for better ice gripping. Secondly, and likely the thing they are best known for, is the fact that crushed walnut shells are embedded in the rubber for improved grip. The reviews for the Observe G-02 plus at 1010 Tires are generally positive with a number of comments that they are good on both snow and ice. 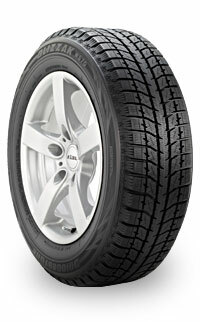 APA rated this tire a top pick in their 2009-2010 review of winter tires for passenger vehicles. 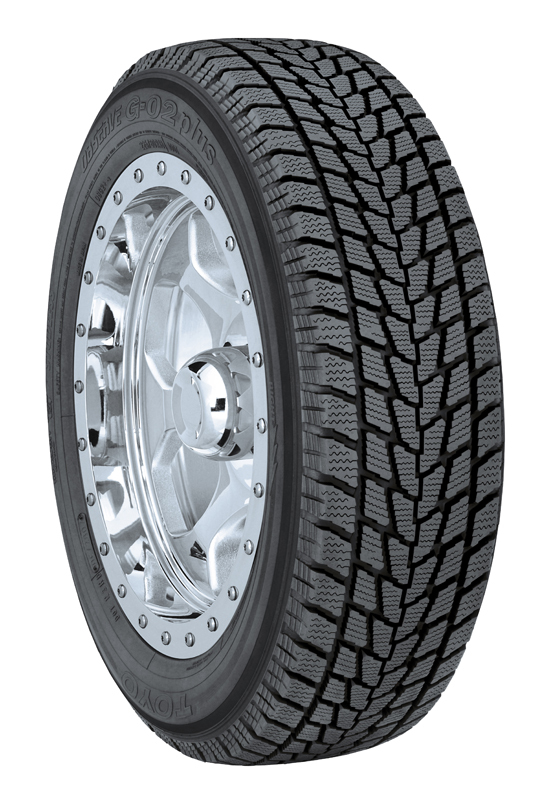 APA commended the Toyo for it’s ice and deep snow performance while indicating it has superior tread life. I was quoted $189 to $210 for the Observe G-02 plus in 235/60 R17. I have grouped these two tires together because although I have no idea if they are made by the same organization they have plenty in common. Both the Wanli Winter Challenger and the Winterclaw Extreme Grip are Chinese knock-offs of the General Altimax Arctic. Finding reviews of these tires is next to impossible, but what I have seen has ranged from “good tire for the money” to “stay away”. The only website I can find for Wanli lists only tires for large trucks, so there is no info on the Winter Challenger there. Winter Claw strikes me as a no-name winter brand made by a better-known brand, but I can find no information on the Winter Claw brand at all. So, needless to say, there is no product page to point you to. I was quoted $73 to $89 for the Wanli Winter Challenger in 205/55 R16 and $118 for the Winter Claw Extreme Grip in 225/65 R17. As you can see, the prices for both of these tires are very compelling. I guess what buyers need to decide is if the near total lack of information on these tires makes them worth the risk. 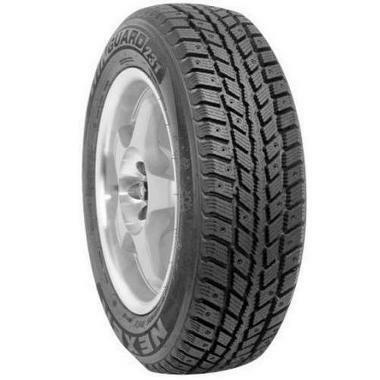 The Yokohama Geolander I/T G072 is a winter tire specifically designed for light trucks and SUV’s. APA rated this tire a top pick in their 2008-2009 review of winter tires for light trucks and SUV’s, specifically citing it’s ice performance. A check of the reviews on 1010 Tires reveals that these tires are rate very well. The interesting thing is the ratings are very consistent across all categories, with wet road performance rating the highest of all of its characteristics. That is not terribly surprising as the product page for the I/T G072 points of several design characteristics that are used to clear water for better traction. I was quoted $189 to $210 for the Geolander I/T G072 in 225/65 R17. So there you have it…a pretty complete list of tires I think. There are always more that could be added, but I had to stop somewhere. In my next post on this subject, I will tell you which tires I purchased for each vehicle and why. I hope you found this post helpful. Thanks for reading. Hey VC: Craig here – good posting – I just purchased the Goodyear Nordics from Cdn Tire…time will tell. Was hoping to see a comparison for the Continental ExtremeWinterContact tires too! Those tires are beating X-ice Xi2’s and Blizzaks in lots of tests! The Continental Extreme Winter Contact was not a tire that was brought to my attention by any of the retailers I called in my area at the time. I just called one place that told me it isn’t available in 235/60 R17 or 225/65 R17. It apparently is available in 205/55 R16 for $155, which would have put it in the upper end of the price range for the tires I looked at. If I had gone higher end for that vehicle, I likely would have likely ended up with the Nokian Hakka R. In the end I opted for lower end and went for the Nexen Winguard 231. What kind of vehicle are those sizes for? truck/suv I’m assuming? In that case, no you can’t get the Conti’s in that size. If it’s a car you should get narrower wheels for winter tire use, better performance! I decided to go narrower (225/65 R17) on the larger vehicle (minivan), and stick with the stock size (205/55 R16) on the smaller vehicle (compact car). I didn’t want to change the rim size on either vehicle and I believe that going down to 195mm width would have meant going down to a 15 inch rim. Check out my Part 2 post to see what I ended up with and why. The Wanli winter challengers are great in all types of winter weather conditions and are likely the same as the Hankook w407 and the General Altimax. I have been using them for 3-4years now and they ran circles around my former snow tires (x-ice and nordic tracks). I literally tried to get my car (Saturn Ion) stuck to test their limit and decided to stop when the snow was scrubbing the bottom of my car so badly I was afraid I would rip my exhaust or one of my bumpers off. I didn’t get stuck and wheelspin is essentially a thing of the past (unless I start in 1st with boots on)Needless to say I would recommend them. They do feel spongy initially but after some mileage that either stops or I got used to it. Thanks for the input. I did notice the tread pattern was a dead ringer for the iPike and the Altimax Arctic. I like that type of tread pattern for winter. I decided to away from the Wanli’s in the end simply due to lack of information/feedback on them. Hi Shayne, the Wanli’s came with the Mazda 3 I bought privately, They were used only last winter. Did you find them safe in slush/wet? thanks much. I am getting these tires next week. After using General Alimax Artic for the past 5 years i thought i would give these tire a shot. I hope i am doing the right thing because i have tried out just about every brand of snow tire and the General Alimax Artic kill them all. I am hoping the Wanli will work the same. Please let me know your thoughts on this should i get them? Are they really as good as you say they are? That is not exactly a ringing endorsement but if you are looking to save money, the Wanli’s may be a good choice. That said, I would doubt very much you are going to get the same performance from the Wanli’s that you have experienced from the General Altimax Arctic. Given your own ringing endorsement, why wouldn’t you try to simply find the best price you can on the General’s and stick with them? The Winter Claw Extreme Grip is owned by TBC Corporation and has many brands under it’s name. Looks like they are owned by a Japanese company since 2005. I just purchased these tires at the start of this year so likely I will get a chance to test them out next Winter season. Just for reference, are you in the GTA? Actually I am based in Halifax, NS. We get a real mix of snow, slush, rain, freezing rain, ice, and dry pavement conditions in the winter – often several of those in the same day. In my experience the best type of winter tire for our climate is one with a good balance rather than one that is particularly good in one area. For example, the Blizzak line from Bridgestone has a reputation for fantastic ice traction, good but not spectacular snow traction, and comparatively rapid treadwear. In Halifax, the advantage of the ice traction would be underutilized while the relatively high number of moderate winter days and dry pavement days we get make the Blizzak’s treadwear issues even worse than they might be. For my family’s minivan, instead of the Blizzak’s I chose the BF Goodrich Winter Slalom KSI because I felt they had that balanced winter performance I was looking for. I have been very happy with them. I also live in Halifax NS and am reporting I’m searching for new winter tires after 7 winters with my Toyo Observe GO-2’s…what a great tire for my 2004 VW Golf TDi. No idea of kms on them, but suffice to say that with 220,000 on the car…they’re an awesome tire that I would run again this winter, but they’ve outlived their true all-weather performance limits. Price may play a factor in my buy this time around, but with 33 winters of driving experience so far the Observe is my hands-down winner to date. I’ve had General Altimax Artic on my Nissan 240SX. With these tire on my rear wheel drive, I never had trouble getting around. I play around with my car and drift and pull donuts, but I couldn’t believe the traction control I was getting. Now I have Honda Civic and just today I went out and but a set of General Altimax Artic. Best Winters I’ve ever owned. Second time around. Let it snow!!!! Hey Marilyn. The “better” tire is usually pretty subjective, but I am not sure this is really an Apples to Apples comparison you are asking about here. No matter which Pirelli Winter Sotto Zero you choose – there are several styles – you will be getting a high quality tire from a well known manufacturer. In the case of the Wanli’s, they are a Chinese knockoff of an older design. Their primary selling feature is that they are cheap. You would need to decide if the price difference is enough for you to want to take a chance on this tire. For a closer comparison, you might want to consider the Pirelli Winter Carving Edge or the General Altimax Arctic. They both have a similar tread design as the Wanli and are likely less expensive that the Winter Sotto Zero’s. I’ve had a set of Winter Claw Extreme Grip tires on my 2011 Ford Escape for the last three years and I would recommend them to anyone. The amount of tread left after 40,000 km driving is really impressive and I never had any issues at all. They are definitely one of the better winter tires I have come across. I Have Winter Claw Extreme Grip on my Yaris hatchback. Second winter. Says made in China on tire. Price was the main factor when I bought them. WORST DECISION EVER TO BUY THESE. Mostly drive on highway. HAVE NEVER FELT SO UNSAFE!!! Feel like driving on skates or hard rocks. Last winter, lost control…car went left and right on two lane highway (was driving real slow and there wasn’t even a snow storm). Numerous times, car skids and slides…when I brake, car swerves to one side. Learned an important lesson: Price isn’t everything! Not worth ending up in the ditch or hit by oncoming traffic when you can’t stop or control direction of car. Had Goodyear Nordic before and way better. I don’t even want to finish winter with the Winter Claws.